"We Provide DJ Entertainment to the State of Arkansas"
No other Arkansas Mobile DJ Service in Central Arkansas or surrounding Arkansas cities will work harder to make your wedding ceremony or reception, birthday party, corporate party, or prom an event you and your guests will never forget. Our mobile DJ service has many years of experience in the live wedding entertainment industry and corporate party entertainment industry you can depend on to have a worry free good time at your occasion. Event experienced affordable DJs / Emcees, professional equipment / professional DJ lighting and a massive selection of music for any type of occasions. Our mobile Disc Jockey service is located in Little Rock, Arkansas and yes, we travel "StateWide" to bring Central Arkansas and surrounding Arkansas cities the best DJ services and Karaoke there is to offer. We also have the most affordable DJ & Karaoke Packages in Arkansas and great DJ prices. Our DJs use state-of-the-art pro-audio "On Line" equipment: Mixers, Microphones, Mixable Digital Players, Surge protectors, Amplifiers, Powered Speakers, JBL, Community, Yamaha and EV speakers to provide a premium sound. Each Arkansas DJ Package comes complete with our on-line music library. We have taken over 400,000 CDs and condensed them into our own digital MP3 greatest hits Music List. You can use our on-line tools to plan your event and make your music play list in advance! Also, you can create a do-not-play list, for those songs you don't want played at your event. Multiple DJ Packages offer you choices to ensure that you get the most appropriate sound system to fit your requirements for your number of guests/room size/budget. All of our DJ units are in very attractive pro audio cabinets. There are no blinking lights, company banners or exposed cables and wires. We do not "plug" our DJ services during your event with "drop ins" and mic announcements. Our DJs & MCs wear Tuxedos, Business or Semi - Business attire, unless you request other attire appropriate to your event. All packages are for a complete 2 - 4 hour time frame with continuous music. Arkansas DJ Service always welcome's your song requests during any event! Our Arkansas DJs bring more than 80,000 songs to every event, for you and your guest to request from. We also provide small, medium, large sound systems and lighting for any type of situation, from a intimate party to a full scale outdoor function. With our outstanding selection of music, add just the right amount of our entertainers' talent and personality and you've got the makings of an exceptional event. We guarantee promptness, reliability, and professionalism. Please check one of our DJ availability checkers and get an Instant FREE Quote for your next event. If you are in need of a Wedding DJ we have the best DJs in Arkansas, Our DJs will keep your event fun and upbeat the entire evening! Are you planning a Theme Party? 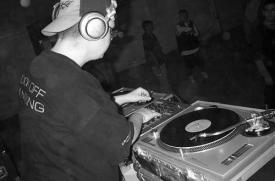 Our DJs offer the best theme dance music in Central Arkansas / Statewide. No matter if it's a 50's, 60's, 70's, 80's, 90's or current theme event, Our DJ's are happy to spin the music from any era. No other Mobile DJ service will work harder to make your event a success. SEO friendly web directory of top sites & blogs, best viewed on firefox download browser free. Dmegs directory organized by topic into categories and presented according to relevance of website.